Superstar Rajinikanth Kabali movie released today across the world. 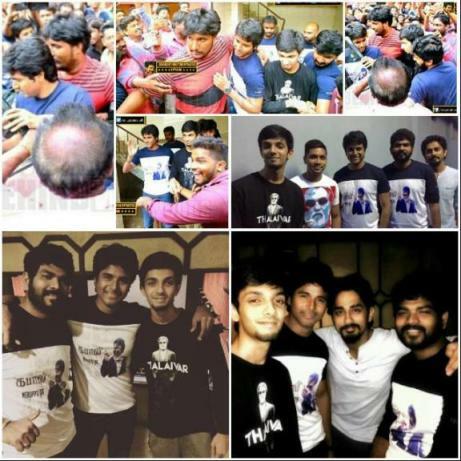 Theatres are flooded with thalaivaa fans, Kabali has released in over 4000 theaters. Offices in Chennai and Bangalore have declared holiday today, this shows the intensity and craze of Rajini fans. Tickets for the morning show have been sold out in seconds, even after increasing the ticket price. 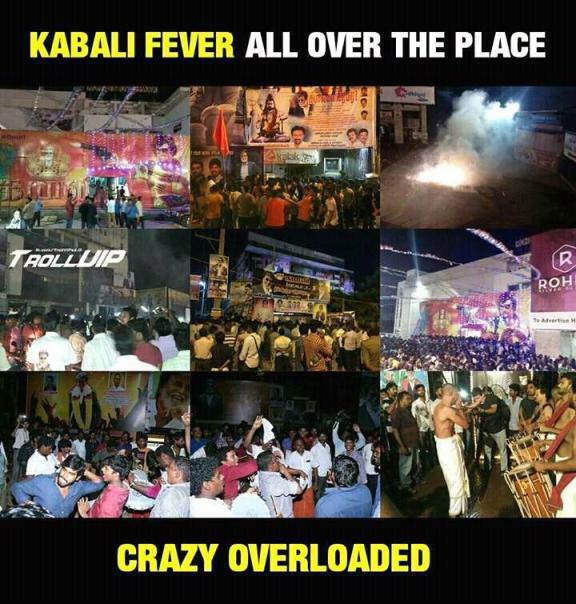 Kabali fans Hungama at theaters shows the craze and hype of the Superstar Rajinikanth. Check out the kabali public review here. No actor in the Indian film industry has such a fan following. 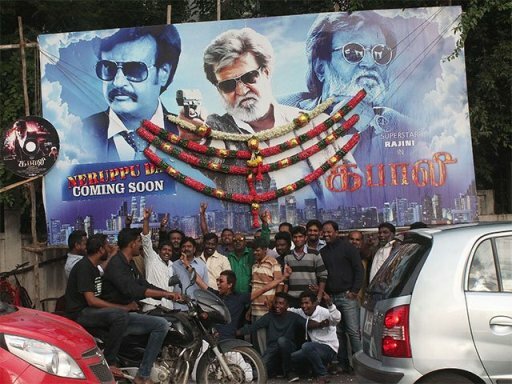 For fans thalaiva is like a God, from the early morning, they have started celebrating at the theaters and declared the movie a hit before watching it. Earlier the film unit faced problems as the Kabali introduction scene of the movie leaked online, but this didn’t stop the fans to watch. All the Rajini fans are fighting to stop the piracy of kabali movie and urging everyone to watch the movie only in theaters. Watch Rajinikanth Fans Hungama At Kabali Movie Videos below. Kabali Early morning shows tickets are sold out for Rs.500 to Rs.600, where the normal ticket price for a movie is Rs.120 but Kabali is not a normal movie it is Superstar Rajinikanth’s movie. So the theaters have suddenly increased the ticket price for the different show. But this couldn’t stop the craze of thalaiva fans all the theaters are houseful, even the theaters in the foreign countries are running houseful. Keep watching this space for latest updates on Rajinikanth Fans Hungama At Kabali Movie Theaters.